THE MANALOs HAVE SPOKEN. 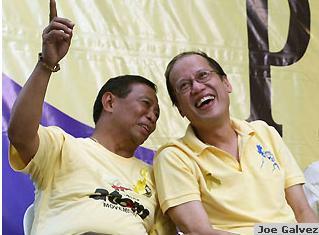 The bloc-voting religious sect Iglesia ni Cristo endorsed the candidacy of Sen. Noynoy Aquino. 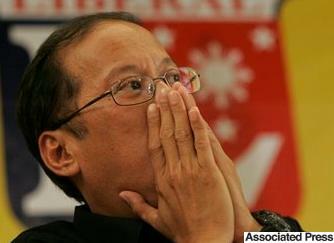 Hours before the official announcement was made, Noynoy was really nervous. In fact, he had to smoke two packs of cigarettes to calm his nerves,. The Iglesia ni Cristo has endorsed the candidacy of Noynoy Aquino for president. The official announcement was made by INC executives yesterday (Wednesday) while the unofficial announcement was made by Kris Aquino on “The Buzz” last Sunday. 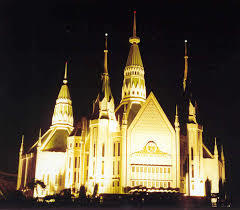 The Iglesia ni Cristo has endorsed the presidential bid of Noynoy Aquino. The INC is now the second most powerful endorser of Noynoy… next only to ABS-CBN. The Iglesia ni Cristo is endorsing the candidacy of Noynoy Aquino. The INC is now the second most influential endorser of Noynoy… next only to Pulse Asia, and SWS. 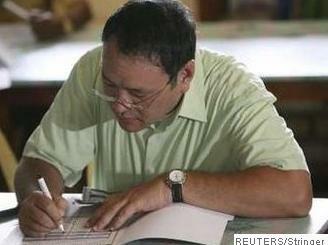 The bloc-voting religious sect Iglesia ni Cristo endorsed the candidacy of Noynoy Aquino. According to a source of the Philippine Daily Inquirer, the choice was made based on a “survey” of INC members ‘with a mandate from heaven’ – probably the same heaven that ‘guided’ the INC in choosing the likes of Gloria Macapagal-Arroyo in 2004 and Joseph Estrada in 1998. A Philippine Daily Inquirer source revealed that the Iglesia ni Cristo’s choice of Sen. Noynoy Aquino for president was made after conducting a “survey” among INC members – a revelation that further incensed Sen. Richard Gordon. Gilbert Teodoro has the support of Pastor Quiboloy. The Iglesia ni Cristo is endorsing Noynoy. The Jesus is Lord Movement is solid behind Bro. Eddie Villanueva. The CBCP endorses JC De Los Reyes. 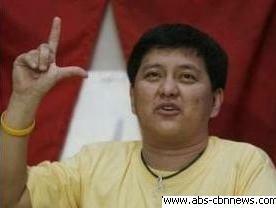 And the El Shaddai Movement is reportedly backing the presidential bid of Manny Villar. Some theologians are now convinced – God must really be a woman. Tanong ng bayan: Sa harap ng sunud-sunod na endorsements mula sa mga ‘sugo ng kalangitan,’ bakit wala pa yatang nag-i-endorso kay Rey Langit? This just in! 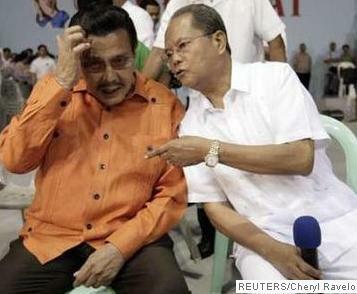 Unconfirmed reports say Erap and Binay are expecting the endorsement of an unidentified Islamic group. You know, they tolerate polygamy. 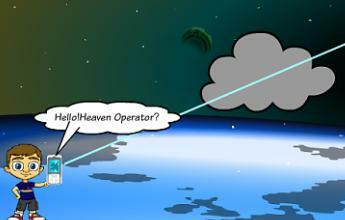 Oops, there’s one stray message left on God’s answering machine! Noynoy Aquino is so against the proposed postponement of the May 10 elections… mainly because he can hardly wait to begin his term. Manny Villar is likewise against the postponement of the elections… mainly because it would only give his rivals more time to throw more dirt at him. Gilbert Teodoro also opposes the postponement of the polls… mainly because he’s so eager to find out if Pastor Quiboloy’s group really practices bloc voting. But Richard Gordon, Eddie Villanueva, and Nicanor Perlas are in favor of postponing the May 10 polls… mainly because they’re not prepared to lose yet. 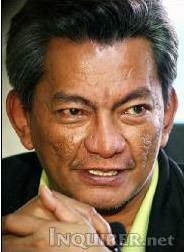 Meanwhile, Jamby Madrigal has not released any statement on this issue. And we really don’t care! Korina Sanchez held a press conference to deny online reports that she got booed at the concert of Tears for Fears. The vice presidentiable’s wife claims she neither noticed nor heard any booing… mainly because she was too busy posing before the cameras while flashing the Laban sign. Korina Sanchez denied reports that she got booed at the Tears for Fears concert last Sunday. Well, it’s either TJ Manotoc was telling the truth or Korina Sanchez was deaf. 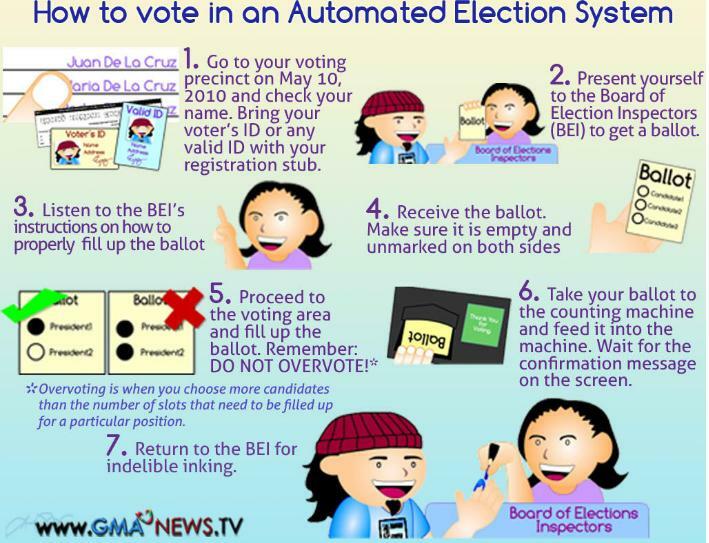 Countdown to the May 10 elections: Apat na tulog na lang! Author professionalhecklerPosted on PMpThu, 06 May 2010 15:19:30 +080019Thursday 18, 2007 PMpFri, 07 May 2010 20:07:46 +080007Friday 18, 2007 Tags gilbert teodoro, iglesia ni cristo, korina sanchez, kris aquino, manny villar, may 10 elections, noynoy aquino, philippine politics, professional heckler, religious endorsements172 Comments on MANALO KAYA? 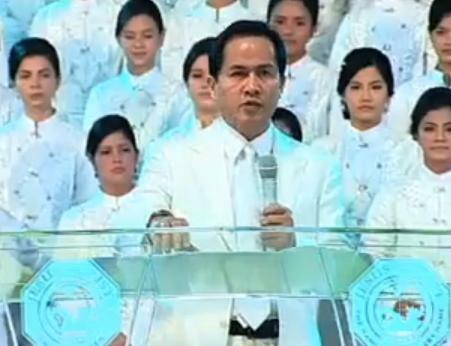 In front of his loyal followers, religious cult leader Pastor Apollo Quiboloy revealed, “the Almighty Father has appointed the president for this nation, Gilbert Teodoro…” eliciting condemnation from saints and angels who insist that the law bars the Almighty Father from making appointments during the election period. Speaking before his flock at the “Kingdom of Jesus Christ: The Name Above Every Name” compound in Catitipan, Davao City, religious cult leader Apollo Quiboloy said that “the Almighty Father has appointed the president for this nation (and) he is no other than Gilbert ‘Gibo’ Teodoro.” At press time though, the Almighty Father has yet to confirm Quiboloy’s claim. This just in! Minutes after Apollo Quiboloy announced his “chosen one,” another presidential candidate issued a statement thanking the religious leader. 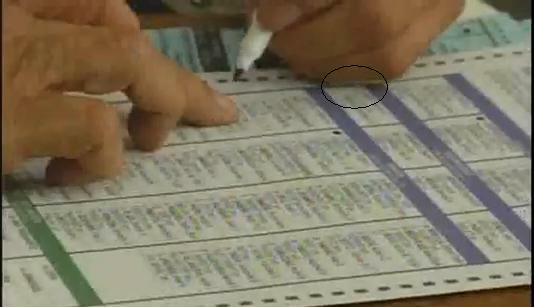 It turned out though that the candidate was misinformed by a supporter. Nagkamali ng dinig ang supporter ni candidate. 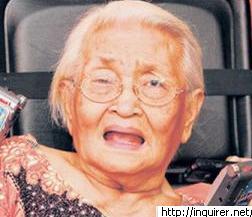 Sa halip na Gibô, ang dinig niya Tibô! 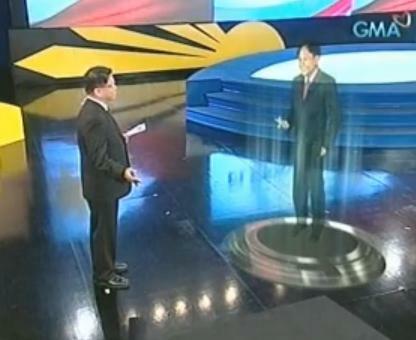 Religious cult leader Apollo C. Quiboloy has endorsed Gilbert Teodoro. The El Shaddai Movement is reportedly endorsing Manny Villar, while the Iglesia ni Cristo is said to be endorsing Noynoy Aquino. 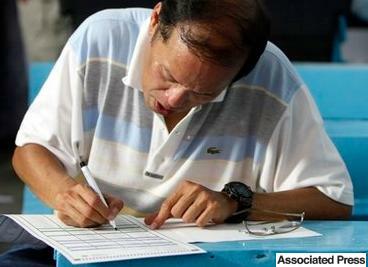 Last week, the CBCP picked JC De Los Reyes over his rivals. Rumors say a displeased Richard Gordon is seeking a TRO against religious endorsements. Did you know what happened at the concert of Tears for Fears the other night at the Araneta Coliseum? 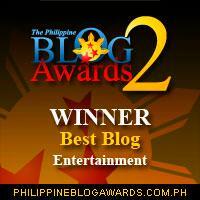 The pop rock duo got the loudest cheers; Korina Sanchez got the loudest boos. Following his surge in the latest surveys, vice presidential candidate Jejomar Binay says Mar Roxas is now in “panic mode.” The Roxas camp is reportedly so alarmed by Binay’s numbers, Korina Sanchez was forced to campaign during the Tears for Fears concert. Last week, outgoing Makati City mayor Jejomar Binay admitted he had an extramarital affair that almost cost him his marriage to Dr. Elenita Binay. 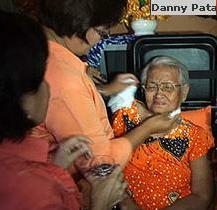 The romance didn’t last long because the mistress rejected Binay’s proposed 24-year affair. Photos of outgoing Makati Mayor Jejomar Binay and his alleged mistress circulated on the Internet last week. The vice presidential dark horse called it black propaganda. Ano ang sinasabi ng dalawang lalaki sa larawan? Para sa masaya at malamang pagtalakay sa mga napapanahong paksa, makinig kina Lynda Jumilla at Alvin Elchico sa dzMM, gabi-gabi pagkatapos ng TV Patrol World. THE 40th ANNUAL EARTH DAY will be celebrated on Thursday, April 22, 2010. 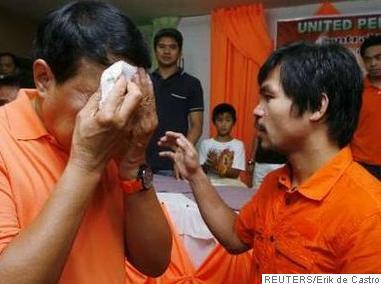 In observance of this historic event, Sen. Noynoy Aquino and Sen. Manny Villar will throw garbage at each other. 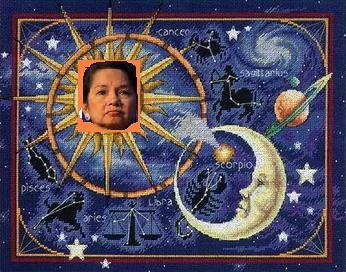 Sen. Jamby Madrigal says she wants this year’s Earth Day event to be memorable for the Nacionalista Party. 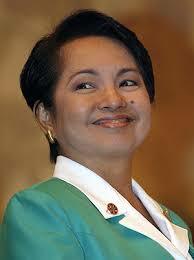 She vows to dig up more dirt on Manny Villar. The 40th Earth Day is being celebrated this week. 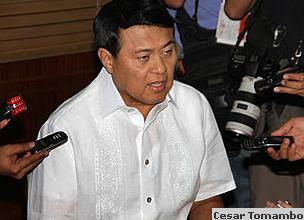 In observance of the special event, Sen. Manny Villar will re-enact the first time he bathed in a sea of garbage. The world will be celebrating the 40th Earth Day this week. 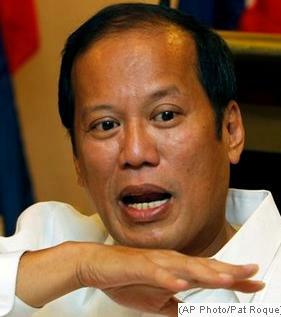 In observance of the special event, Sen. Noynoy Aquino will NOT smoke for a day. Lawyer Gilbert Teodoro can easily relate to nature and environmental issues… mainly because loyal Lakas leaders have become extinct. Justice Secretary Alberto Agra is also celebrating Earth Day. In fact, he observed the event in advance. 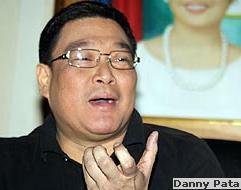 Last Saturday, he trashed the multiple murder charges against two Ampatuan scions. In case you didn’t know, President Arroyo has declared April 22 as the “Philippines’ Earth Day” through Presidential Proclamation No. 1481. She signed the proclamation right after the release of a survey showing the continued “erosion” of the people’s trust on her. 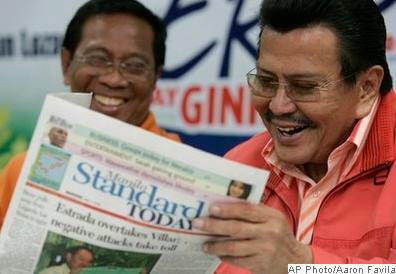 Former president Joseph Estrada and senatorial candidate Joey De Venecia have decided not to campaign on April 22. 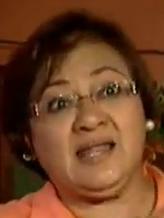 Erap will observe Earth Day by planting his seeds while De Venecia will plant some weeds. Sen. Mar Roxas will lead the Liberal Party’s Earth Day activity. Everyone is invited… except for Chiz Escudero and company. 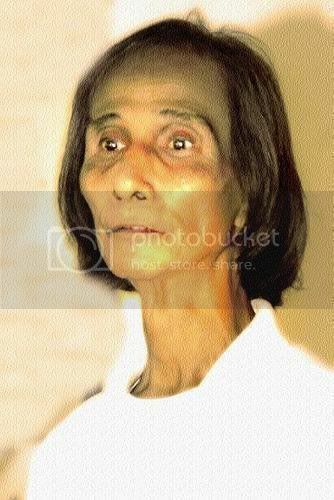 This just in: Mar Roxas has belied claims by Korina’s former household helper that the broadcaster still uses Aquanet hair spray. Makati City will observe Earth Day by promoting garbage segregation. As a matter of fact, residents, particularly those living in slums underwent a seminar on waste management recently. 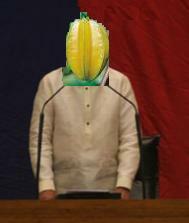 Sa naturang seminar ay ipinaliwanag ang pagkakaiba ng biodegradable at non-biodegradable. 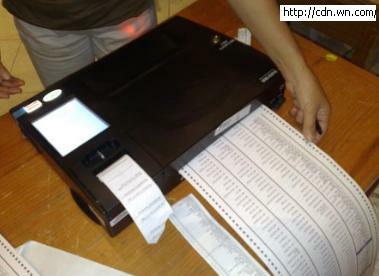 Halimbawa: ang mga papel at tirang pagkain ay natutunaw. 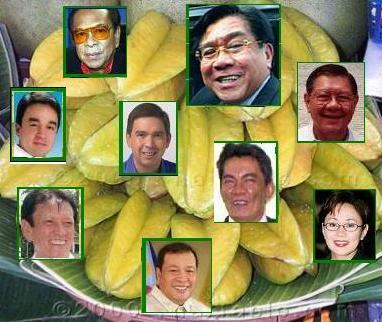 Ang mga ito ay biodegradable. Sa kabilang banda, ang mga Binay ay ‘di natutunaw. Sa katunayan, inabot na nga sila ng dalawampu’t apat na taon sa city hall. Sila ay non-biodegradable. Environmental groups are handing out special awards this year in celebration of the 40th Earth Day. Leading the list of awardees is businessman Manuel V. Pangilinan who is being recognized for his “reuse” and “recycling” efforts. 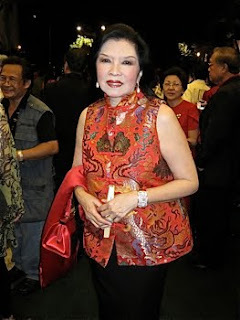 And to warn the public about the hazards of chemicals on humans, Tingting Cojuangco, Loi Ejercito, Baby Arenas, Imelda Cojuangco, Vicki Belo, and Ellen Lising will join a motorcade. Justice Secretary Alberto Agra has cleared two members of the powerful Ampatuan clan of the grisly murder of 57 people in Maguindanao last year. 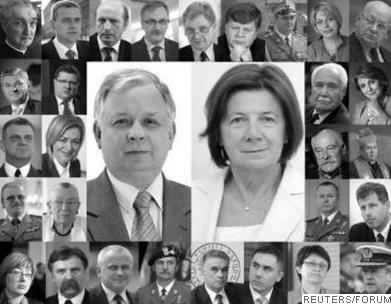 With a justice secretary like that, who needs defense lawyers? Despite the support of some loyal friends in Partido Lakas, Bayani Fernando says he will not abandon Richard Gordon, the standard bearer of Bagumbayan Party. To prove that he is telling the truth, Fernando promised Gordon that he would not call for a meeting of Bagumbayan members at Discovery Suites in Pasig City for a loyalty check. According to a Social Weather Stations survey, 43 percent of Filipinos considered themselves poor. The rest were in denial. Ano ang sinasabi ng hayup sa larawan? Maiba naman. Lakers or Cavaliers? IT’S THE DAY’s BIGGEST NEWS. Albay Governor Joey Salceda who called an emergency caucus of Lakas governors at Discovery Suites in Pasig City last April 6 to conduct a loyalty check on Lakas members has bolted the ruling coalition! 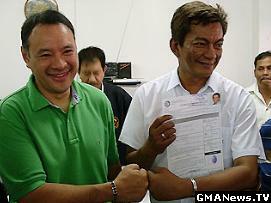 Apparently, Salceda got so busy checking out his party mates’ loyalty; he totally forgot to check out his. 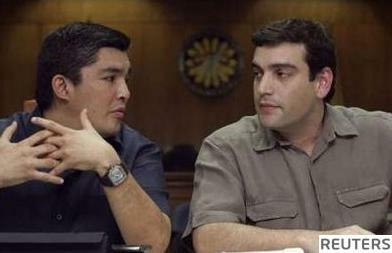 Joey Salceda revealed that he and Noynoy Aquino were seatmates in the English class in Ateneo. 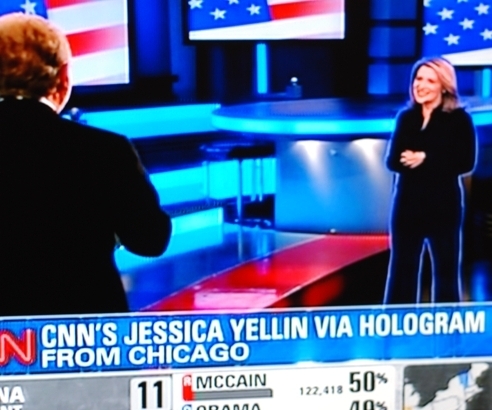 They were not that close then although one time they plagiarized some compositions together. According to Albay Governor Joey Salceda, Noynoy Aquino was his seatmate in the English class in Ateneo some 30 years back. 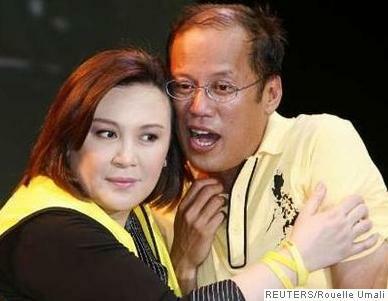 Salceda will never ever forget the young Noynoy… mainly because he was the only one who owned a lighter then. Albay Governor Joey Salceda who called an emergency caucus of Lakas governors at Discovery Suites in Pasig City last April 6 to conduct a loyalty check on Lakas members has bolted the ruling coalition! It was like Dinky Soliman leading the Arroyo cabinet in singing “If We Hold On (Together),” and then calling for her president’s ouster the succeeding week. After calling on his party mates to rally behind Gilbert Teodoro, Albay Governor Joey Salceda has bolted the party and announced his support for Noynoy Aquino. Lakas stalwarts were reportedly shocked by Salceda’s announcement because they expected him to support Danton Remoto’s “Ang Ladlad” instead. At ilan sa mga kilalang berde na pilit nahinog nitong mga nakaraang buwan ay ang mga balimbing sa larawan. Nasa inyo na ang pagpapasya kung sila ay inyong pipitasin sa darating na halalan. Bawat isa sa kanila ay may ibinigay na dahilan kung bakit nila iniwan ang kanilang partido. Natatandaan mo pa ba kung ano ang kanilang “excuse?” Alamin sa pamamagitan ng pagsagot sa pagsusulit na ito. May sampung minuto ka upang sagutin ang tanong: Bakit nga ba sila lumipat? 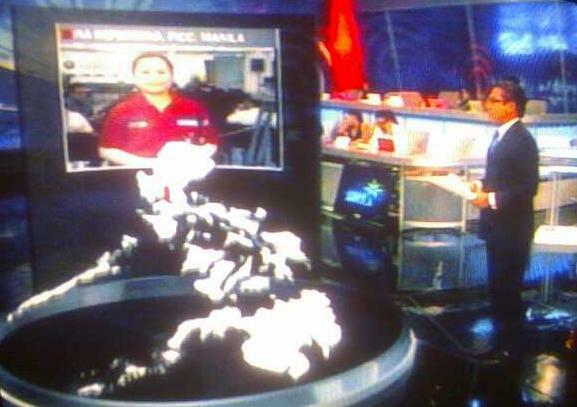 Ang tanong: dapat bang ibunyag ng ABS-CBN ang source nila sa NP? Trivia:The 1955 Academy Award-winning film Oklahoma! was shot entirely in Arizona because producers believed that Arizona looked more like Oklahoma than Oklahoma did! Sa nangyayaring exodus ng Lakas members sa Liberal Party at Nacionalista Party, hindi na ako magtataka kung ang LP at NP ay mas mag-asal-Lakas kaysa sa orihinal na Lakas pagkatapos ng eleksyon. Good luck sa ating lahat!